McKayla Tucker ‘21 (human biology) is one of the 33 women selected to be a 2019 500 Festival Princess. These women represent 13 Indiana colleges and universities and 20 cities across the state. With a cumulative GPA of 3.65, this year’s 500 Festival Princesses were selected from hundreds of applicants based on communication skills, academic performance and community involvement. A Valparaiso native, Tucker has a pre-physical therapy concentration and is working on earning her Healthy Diploma. After graduating, she plans to attend graduate school at UIndy and complete her physical therapy track with goals of working with OrthoIndy or the Indiana Pacers. Tucker said being selected for the 500 Princess Program is a “once-in-a-lifetime opportunity” to expand her professional network and grow her skill set. Tucker also received a $1,000 scholarship, made possible by Marlyne Sexton and the 500 Festival Foundation. “I’m representing something so much bigger than myself. 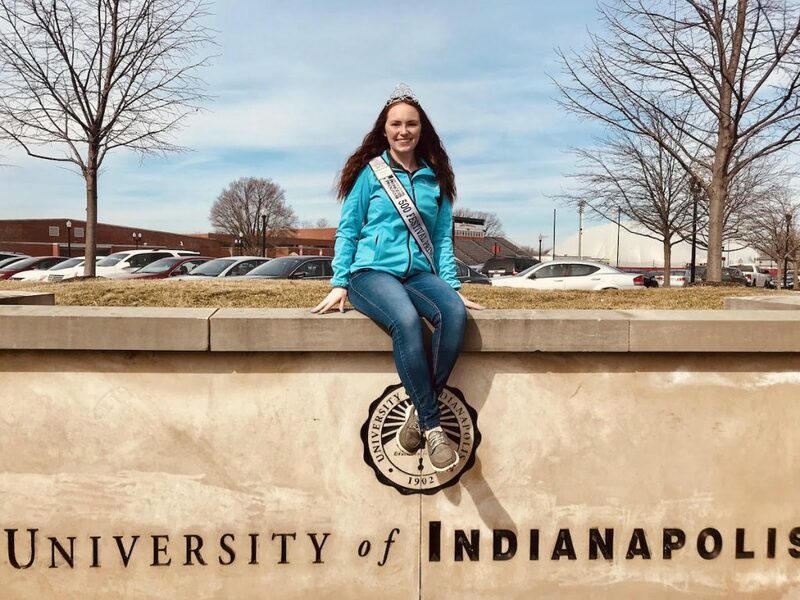 Not only am I representing my hometown of Valparaiso, I am representing UIndy and the entire state of Indiana and what we hold near and dear to our hearts,” Tucker said. Tucker is currently working to get an official pace car on campus with hopes of getting people as excited about the 500 Festival Parade as she is. She pointed out that as one of the top three best parades in the nation, it’s not an event you’ll want to skip. Tucker said a few things have greatly impacted her journey to become a princess, including countless hours of volunteer work in her hometown and in Indianapolis. She also was involved with Delight ministries on campus. Another factor that contributed to Tucker’s success is her former chemistry professor, Anne Cutler. 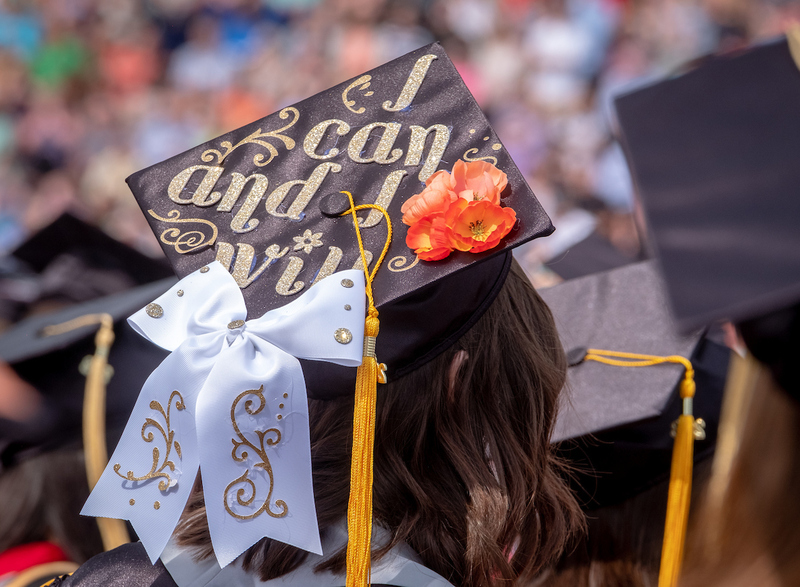 Referring to Cutler as her “campus mom,” Tucker credits the UIndy faculty with helping to direct her area of focus and discover her place on campus. “Not only did she help me with some really big life situations, she also helped me to figure out how to make the most out of my time and experience at UIndy,” Tucker said. “I just wish more young women knew about the program and applied…[being a part of the princess program] is so much more than a sash and tiara,” said Tucker. The 500 Festival Princess Program, presented by Reis-Nichols Jewelers, celebrates Indiana’s most civic-minded, academically driven young women. Each year, 33 college-aged women are selected as 500 Festival Princesses and serve as ambassadors of the 500 Festival, their hometowns, and their colleges/universities. Serving as a 500 Festival Princess provides young women with once-in-a-lifetime experiences and countless opportunities for leadership and professional development. Since the program’s founding in 1959, nearly 2,000 Indiana women have experienced the honor of being selected as a 500 Festival Princess.